Christmas is literally around the corner! Time to get into the spirit and create some impeccable treats for friends and family. 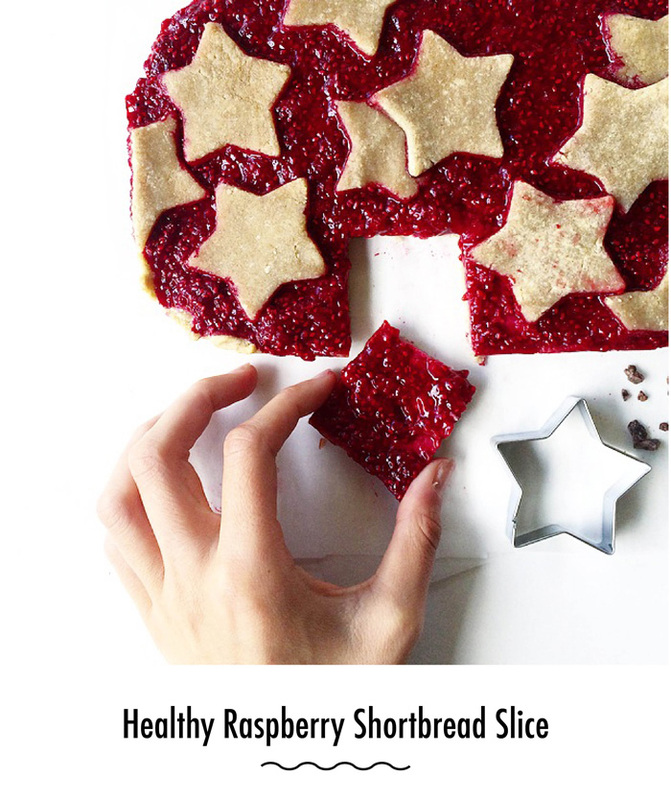 This healthy shortbread with a raspberry jam is a major hit in my house! Preheat an oven to 150 degrees, fan-forced and line a small rectangular dish with baking paper. 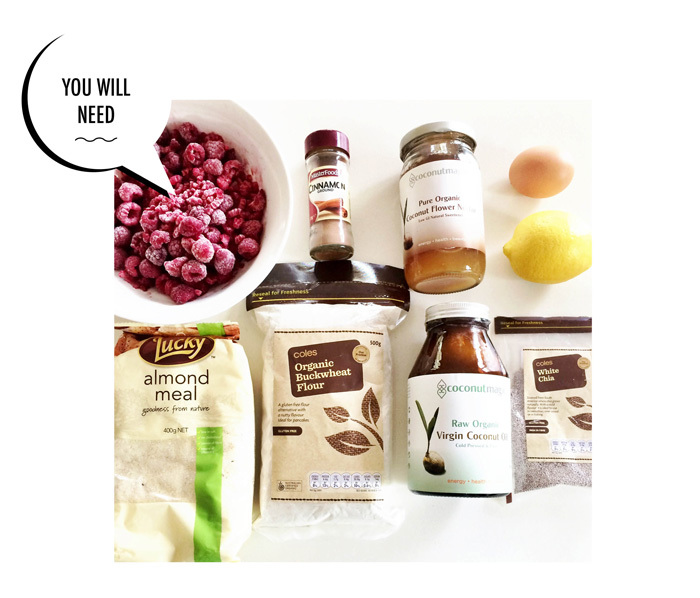 Place all the shortbread ingredients in a small bowl and mix until a dough forms. If too dry, add a tbsp water. If too wet, add a small amount of almond meal. Press a bit less than half of the dough in the dish. Bake for approximately 12 minutes or until very lightly golden. 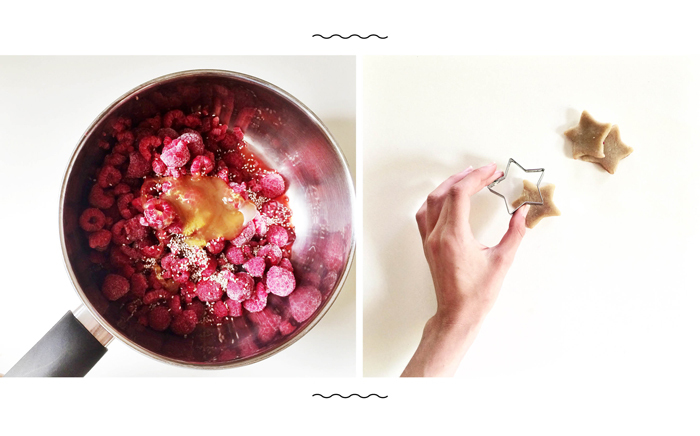 Meanwhile, place the raspberry filling ingredients in a small saucepan over low to medium heat. Stir until the liquid and all the ingredients are warmed through. Mash thoroughly with the back of a fork. 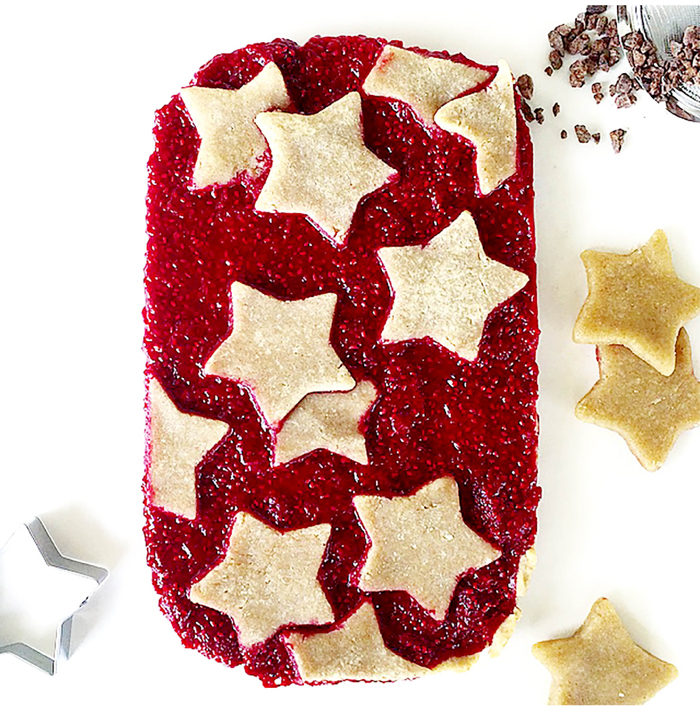 Roll out the remaining shortbread dough and use a cookie cutter to cut into stars. 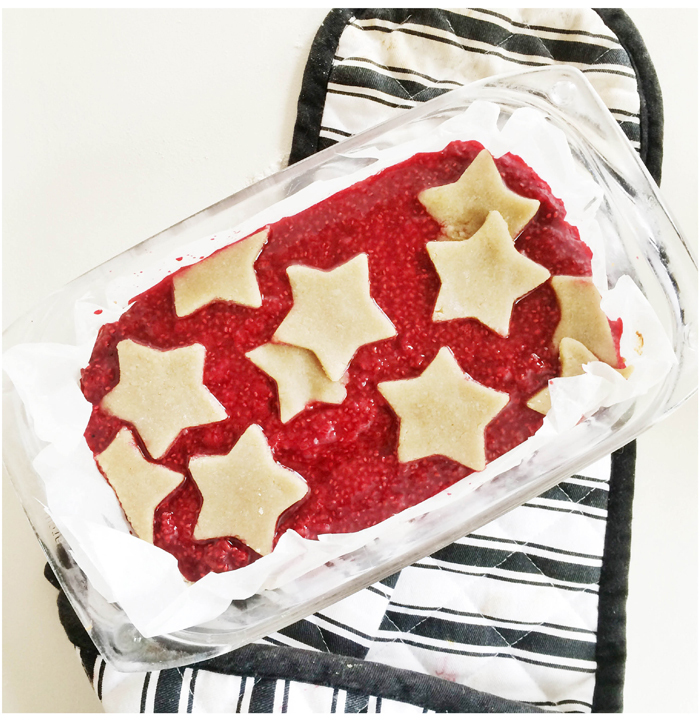 Pour the raspberry filling over the base and then on top, arrange the shortbread stars.